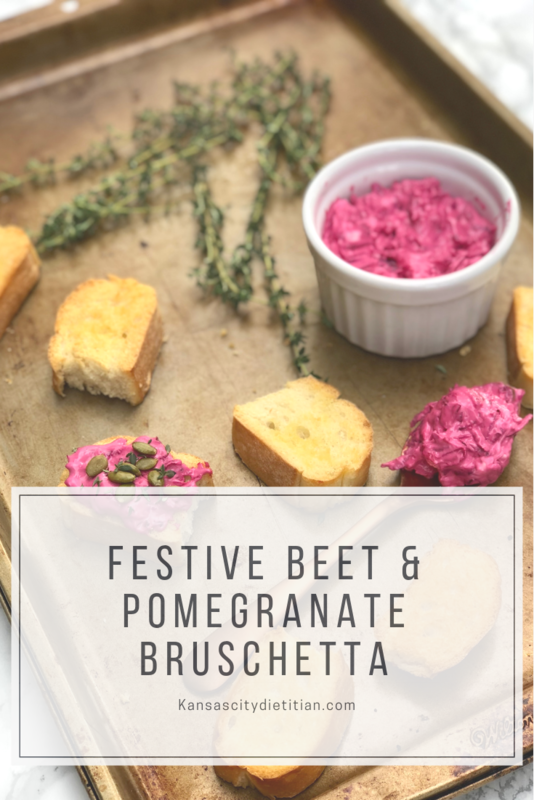 Ok, hold onto your answer, and let me tell you what happened when I made this Festive Beet & Pomegranate Bruschetta for my big picky eater. Feeling like a genius for creating this recipe, I offered it to my big picky eater. He of course asked what was in it, and I, never wanting to ruin the fun, started shoving this delicacy into his mouth. You’re not going to believe his response, as I finally relinquished the list of ingredients. I don’t really like…. cream cheese. What?!? Who doesn’t like cream cheese? Beets? Yes, sure, lots of people don’t like beets. Pomegranates? There are a few non-pomegranate eaters out there too, but cream cheese?! How is that even possible? 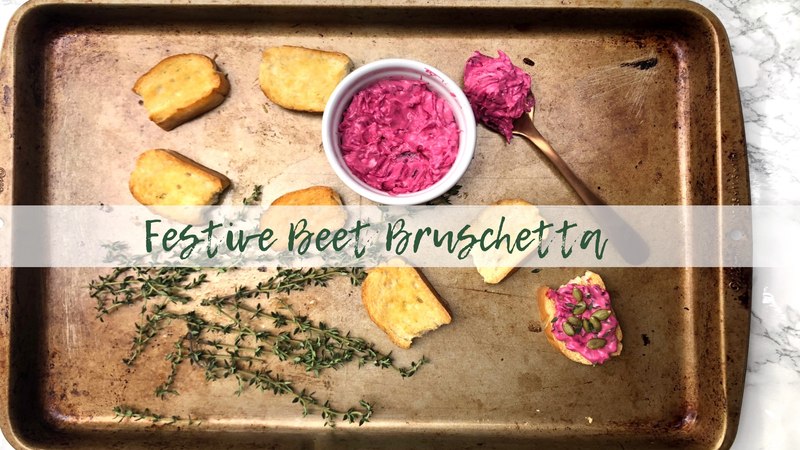 So if you don’t like cream cheese there is nothing for you on the blog today, but if you don’t like beets, or pomegranates, hang with me, I think you’re gonna like this one. Did you know that you can eat a beet uncooked? I love beets, but sometimes the process of preparing them hinders me from eating them and sometimes the “earthiness” hinders picky eaters from enjoying them. With this recipe you just shred the raw beets so that you get all the festive color but a little less of the “earthiness,” making this recipe perfection. Let’s talk about pomegranates next. Pomegranate season is way too short in my opinion. What is often not short, is the time it takes to extract the seeds from the pomegranate. I like to do it the quickest way possible, because tiny voices (let’s be clear they are audible voices from my children, not just voices in my head) can pop in at any moment threatening my perfect creation. 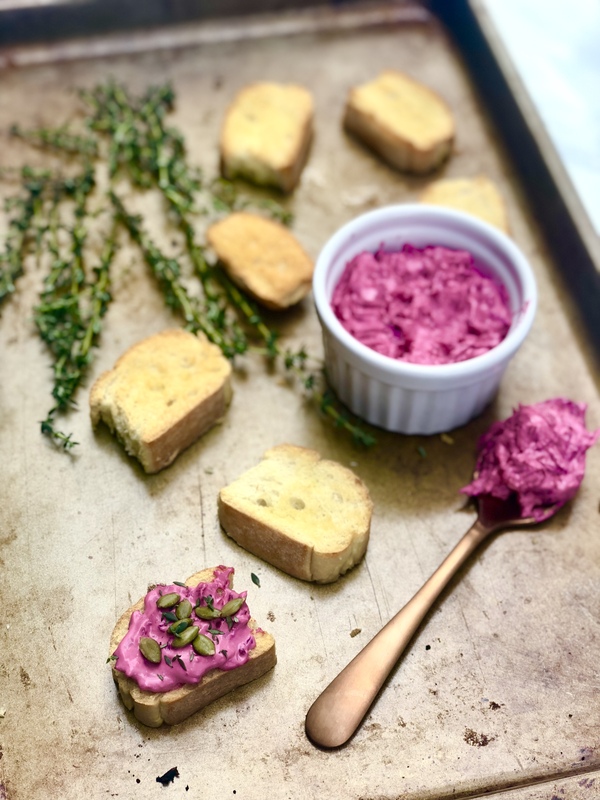 Check out my post for Rosemary Pomegranate Cheeseball for another fun way to use the pomegranates and a video of how to get the seeds out. 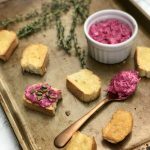 I served this recipe to a group of apprehensive cooking class attendees and I had so many people shocked at how delicious it was. I wish I could make you a believer by serving it to you this holiday season, but in case I don’t make it to your Christmas party, try it, I don’t think you will be disappointed.